The Cross Keys was the last of the four inn playhouses. 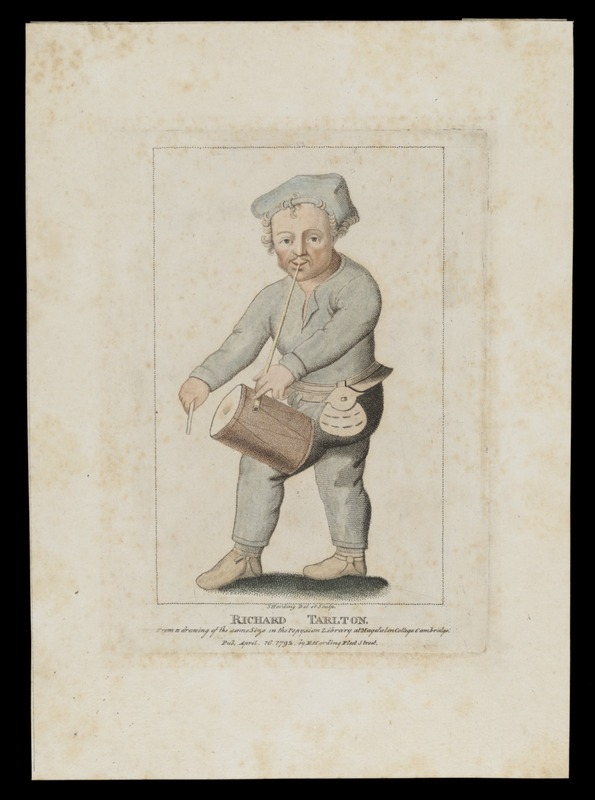 Playing started here (on the west side of Gracechurch Street, near Bell Inn Yard) by 1579 and carried on until 1594. In 1584 four inns were licensed by the City for dramatic performances, these being the Bel Savage Inn, the Bull Inn, the Bell Inn and the Cross Keys Inn (they were taverns allowed to stage plays, not exclusively playhouses). 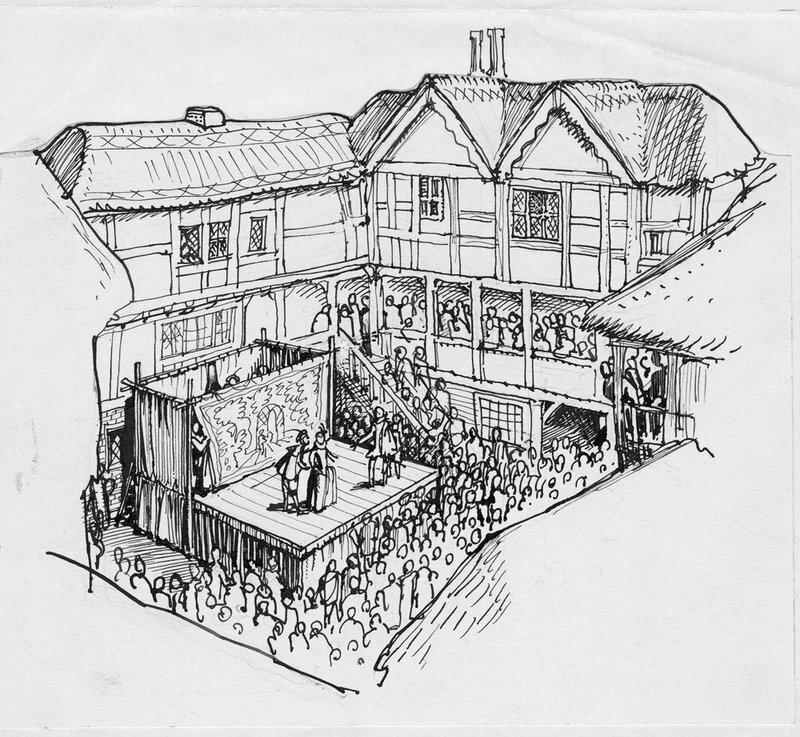 The Queen’s Men performed at these inns during the 1580s with the famous comic actor Richard Tarlton, along with several other unidentified companies. 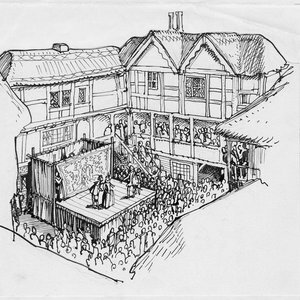 In 1594 the city authorities ordered a ban on playing in the City of London at the same time as the Theatre and the Rose were licensed as the only two officially legal playhouses in London. From the Bull site, continue walking along Bishopsgate into Gracechurch Street where the sites of the Bell and the Cross Keys inn sites used to be.